This PRIME LOCATION, COVETED GROUND FLOOR CORNER UNIT has been beautifully renovated and is move in ready. Best spot in the complex! Walk out your backdoor to the Intracoastal Waterway to watch dolphins play, boats cruise by, or relax on a private sandy beach. This exceptional 2-bedroom 2-bath unit has it all, and has been completely renovated to include brand new kitchen cabinets and quartz countertops, stainless steel LG appliances, wood plank-look laminate flooring throughout, & new bathroom vanities. Highly desired split plan too, with large indoor laundry area. You will love the tons of light from the many windows looking out onto lush landscaping, and a reserved parking spot right near the front door. The pool (both heated & cooled) and spa area is meticulously clean, offers plenty of chairs and friendly conversations. The spacious Master Suite has a walk-in closet, ensuite bath with dual sinks and a garden tub. Join the Isla del Sol Yacht & Country Club for golf, tennis, and a great social atmosphere. You're less than 10 minutes from downtown and a bike ride away from award winning beaches, including Ft. De Soto, Pass-a-grille and St. Pete Beach. Live year âround or easily rent with only a two week minimum rental period. This is truly Florida living at itâs finest! 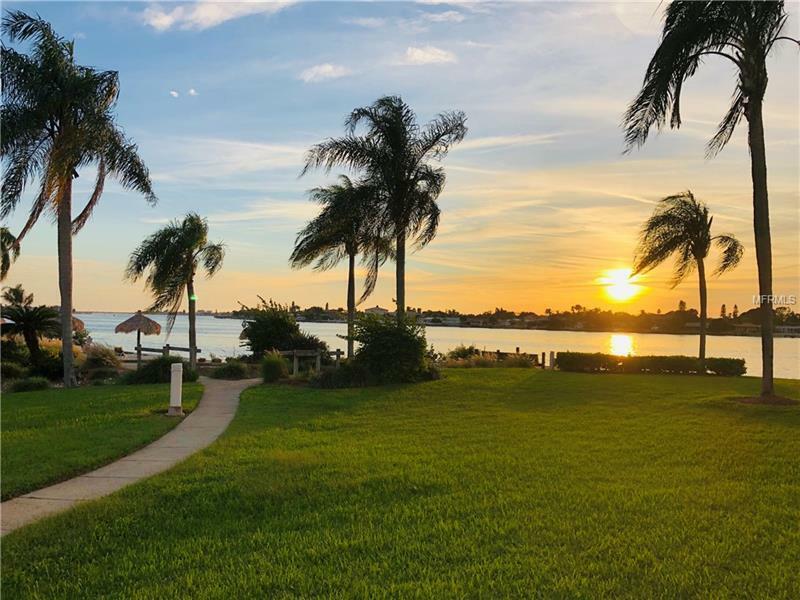 Additional Water Information: Bahia Vista condominium complex faces west with gorgeous sunset views, directly on the intercostal waterway.